Good afternoon everyone! I hope you are all having a lovely Tuesday! Today I have the February Fit Snack Box to share with you guys. This snack box is going to be a lifesaver at my new job. I am on the go for 8 hours straight and sometimes eating can be a bit tough. 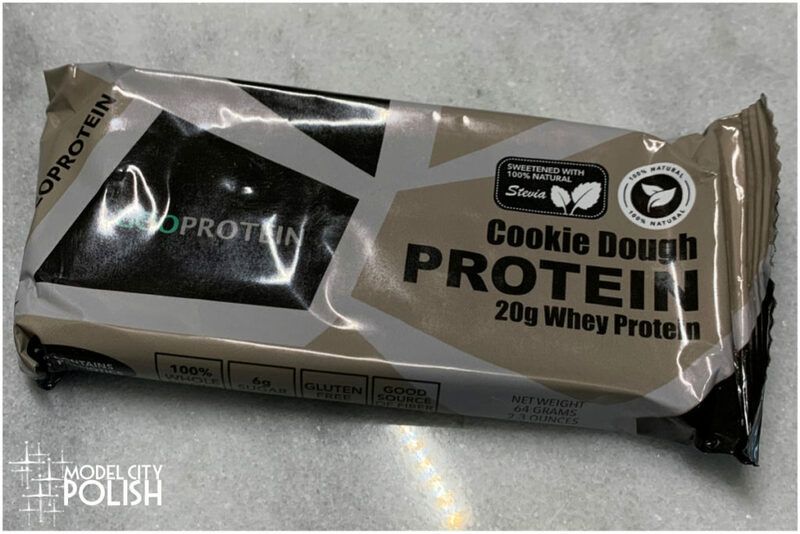 Thanks to these quick snacks, I can load down my locker and grab when in a pinch on time or when those late afternoon cravings hit. 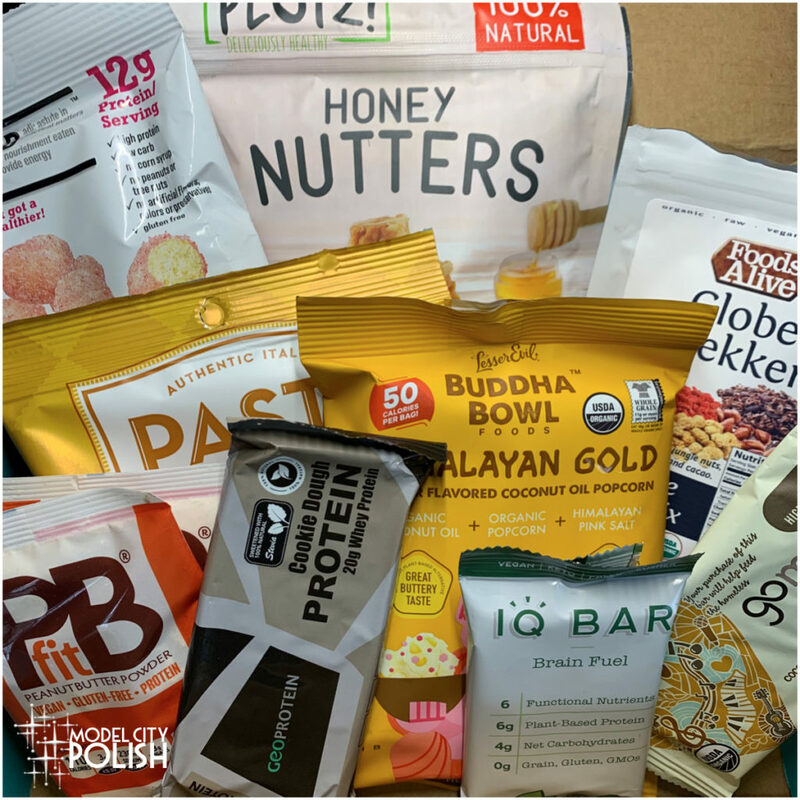 This month’s Fit Snack Box was loaded with tons of brands that I already love and one new to me brand that will become a standard snack staple in my house! Let’s take an in-depth look at all the goods. 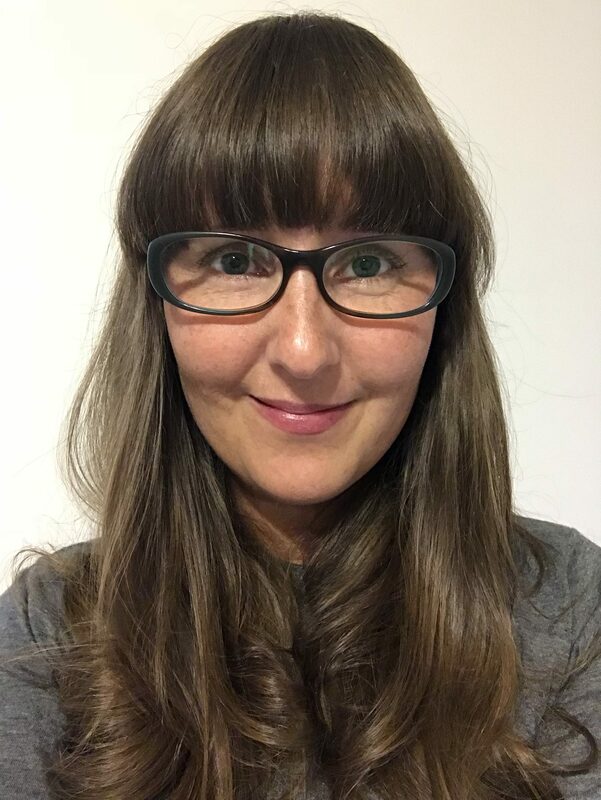 Shrewd Food – Craving something sweet? 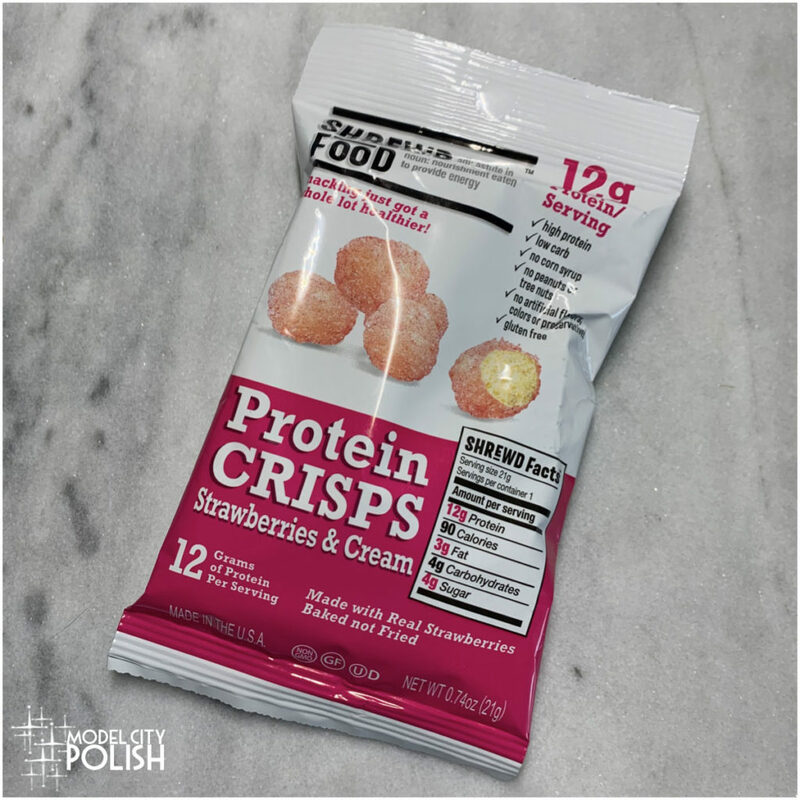 Our Strawberries & Cream Crisps are sure to satisfy your sweet tooth and the crunch you desire, while providing 13g of protein and only 90 calories. You just found your new go to snack. 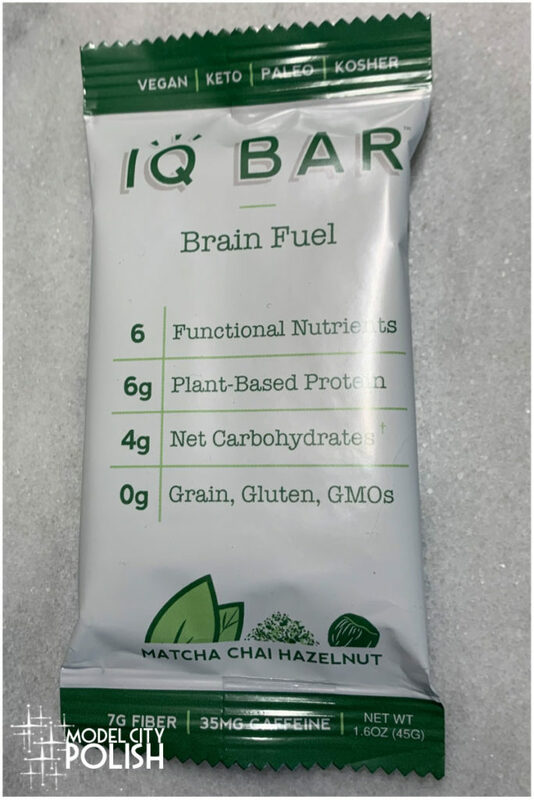 IQ Bars – Our Matcha Chai Hazelnut bar offers an exotic, multi-dimensional flavor you simply won’t find elsewhere. Our blend of smooth Japanese matcha with Indian chai will make your taste buds tingle! 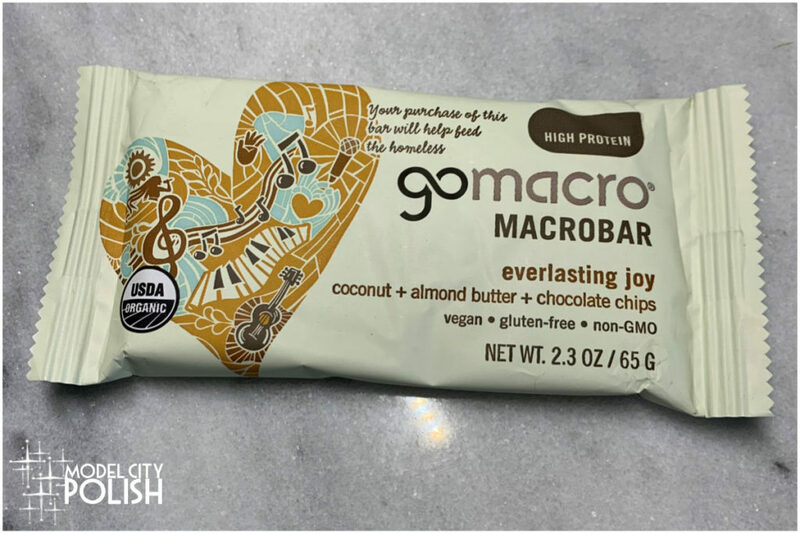 GoMacro (Coconut Almond Butter Chocolate Chip) – Family-owned and based in a small rural community, GoMacro’s mission is to spread awareness for a balanced, plant-based lifestyle with products that have positive effects on the world. USDA Organic, Gluten-Free Certified, Non-GMO Project Verified, Vegan Certified, Kosher Certified, Soy-Free, CLEAN and RAW Certified. Everything is sourced sustainably; from the ingredients to the trays that MacroBars are sold in. 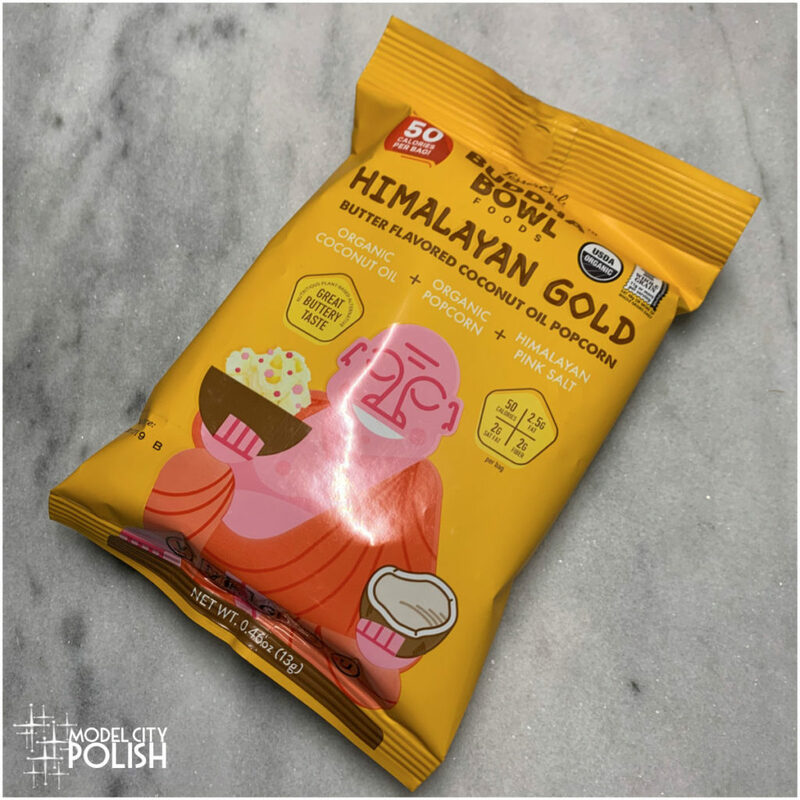 LesserEvil Himalayan Gold Popcorn – At LesserEvil, we want to bring mindful snacking to the masses. 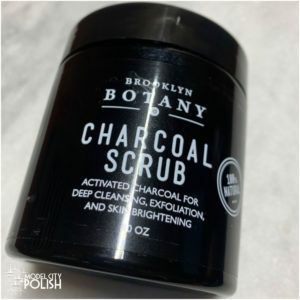 We believe ingredients are everything and always strive to fill our products with the cleanest ingredients possible. Always air-popped! Made with the best fats. No refined sugar or salt. 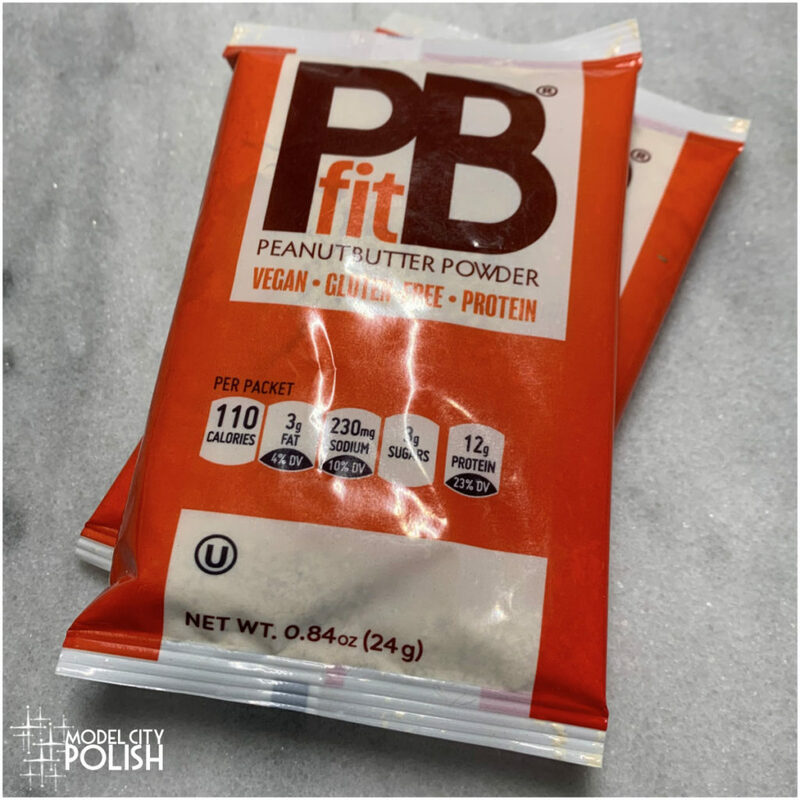 PBfit PB Protein – PBfit is a natural peanut butter powder with 87% less fat and about 1/3 the calories of traditional peanut butter. Because it is a powder, it is easier to use in smoothies, baking, and shakes of all kinds! 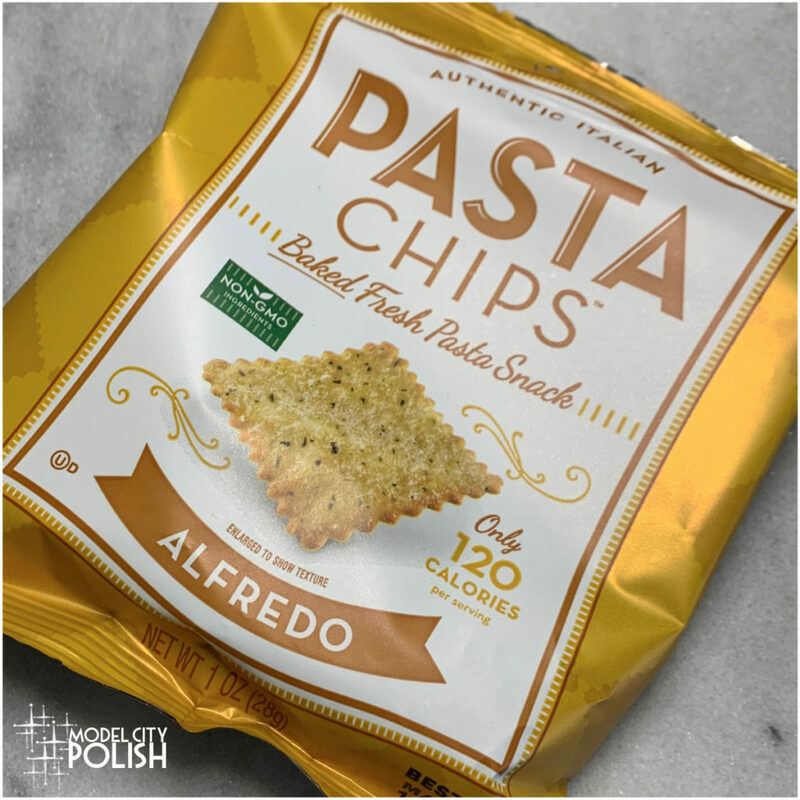 Pasta Chips – Inspired by an authentic Italian snack from the hills of Tuscany. Pasta Chips are a healthy take on a classic recipe. Made with Durum Wheat Semolina Flour, the main ingredient found in premium pastas – and Italian herbs, each chip is carefully cut to create the perfect edge and then baked until golden brown. Only 120 calories per 1 oz serving. Non-GMO and 60% less fat than potato chips. 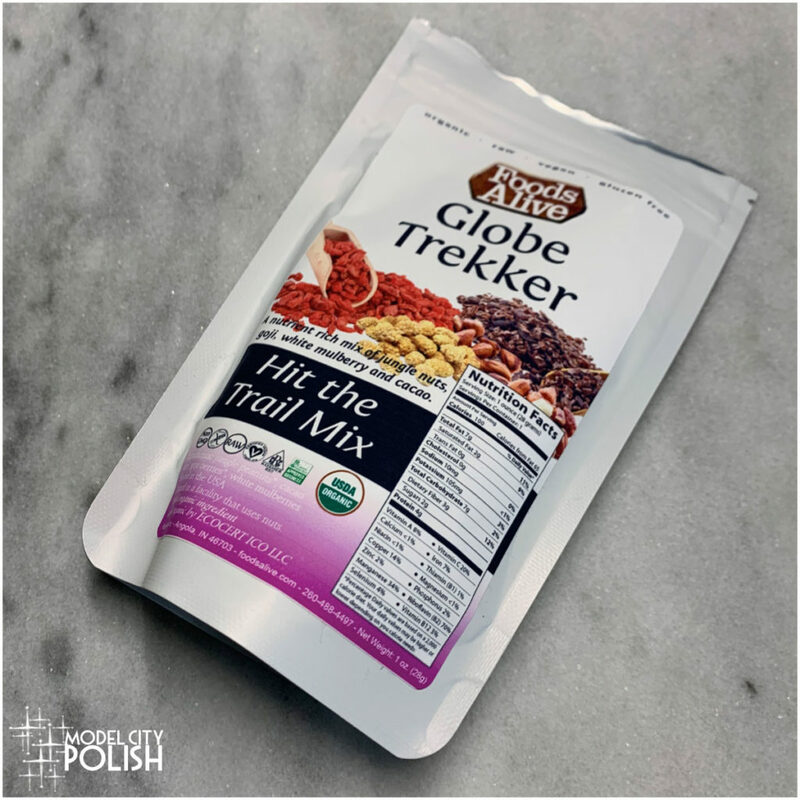 Foods Alive Hit the Trail Mix – With superior taste, texture, and clean plant-based organic ingredients, everyone will love our trail mix. They are perfect snack to give your body the power it’s looking for. Plotz! 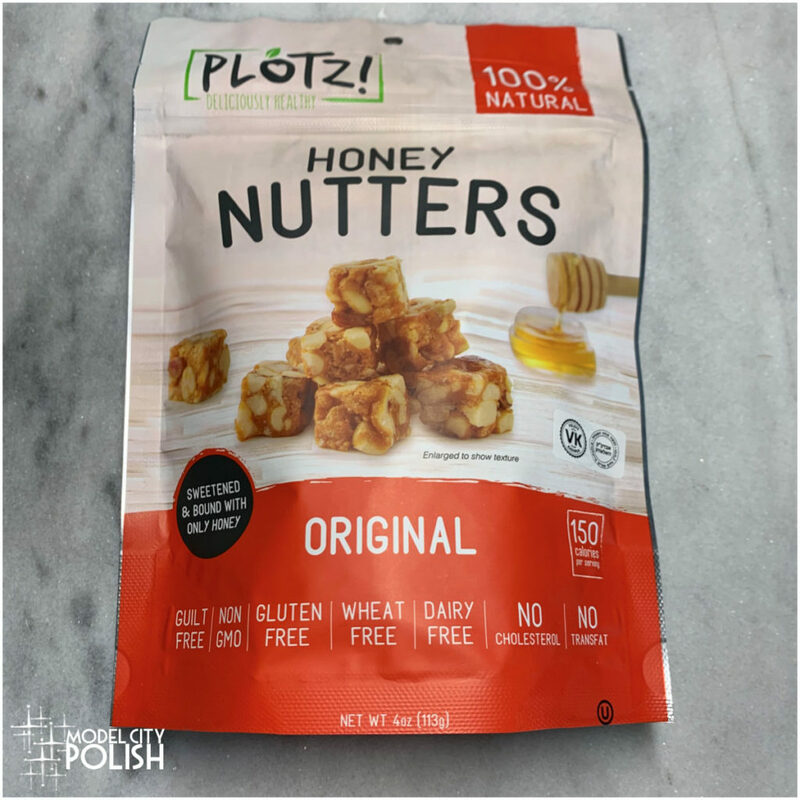 Honey Nutters – We’ve created snacks that are perfect for on the go or for simply sitting and enjoying. Besides that they taste so great, our snacks are made with all natural ingredients that you can read and see and ZERO artificial sweeteners. Happy and healthy eating. So what do you guys think of the February Fit Snack Box? So many goodies. The new to me brand was the Plotz! Honey Nutters, these things are seriously delicious! I destroyed the bag in one afternoon so be cautious, they are dangerous for snacking! 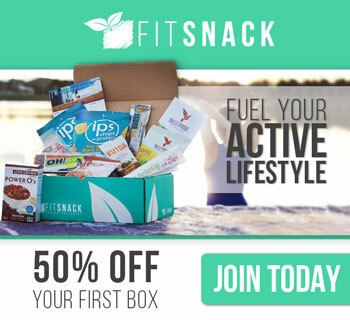 If you love trying out new snacks or just want to make healthy snacking easier, be sure to check out Fit Snack. Right now you can use the special Model City link and get your first box half off. Thank you so much for stopping by today and I will see you all again soon! 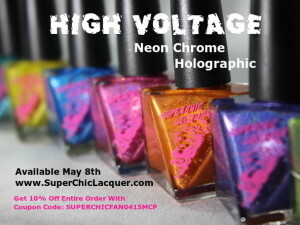 There are a few items in the pack that I’d like to try (and others I wouldn’t). It’s a nice way to try before buying a full size package. Would love to hear your thoughts on how they taste and not just what they are! I am intrigued by some. I really want to get into protein bars. They sound so filling and good for you at the same time! I’m definitely intrigued. I only eat once a day at dinner so I usually grab a quick snack for lunch, these sound like some great healthy options. It’s great that there are so many gluten-free options! I’m always on the lookout for healthy, wheat-free snacks. Oh so much fun things to try! I love trying these sorts of snack! I just got home from the gym and want to devour everything in this box. lol. These all sound amazing! Definitely perfect for folks on the go!